She said, “You Americans, you live to work.” She let it sink in, her eyes wide, a grin across her face. “The Dutch, we work to live,” she said. The simple, straightforward statement the landlady of our Oud Suid apartment, Marnie, uttered gave me pause. We work to live. What distance those who live to work must travel to reverse how we engage the world. In Amsterdam, at a very young age, a baby in arms — no, let’s start this again, better yet: in vitro the child begins to enter the rhythms of the culture. It comes to her through the mother as she pedals gracefully, back straight and head upright. She negotiates the trams and the pedestrians, the traffic lights and, most dangerous of all, the tourists, always an unpredictable menace whether on foot or on a bicycle. 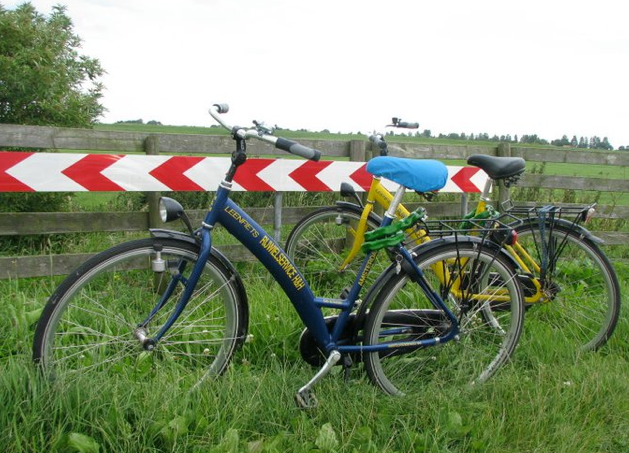 By the time the child is one, her hair curly and blond and her skin is butter fresh and can sit upright without help, she moves from a pouch held over the mother’s shoulder, where the child has been cradled in her trek across Amsterdam for some time, to a seat straddling the bike’s crossbar. Perched like a lookout on a ship’s tall mast, the child takes in her world — the intricate web of bicycles coming and going almost effortlessly, the unifying laws of humanity that enable this choreography to blossom as if it’s somehow a spirit laying just beneath the surface for the child that the mother compels forth with her always steady pedaling. The wheels turning and turning rhythmically, balanced and subtle. The child learns this grace before the child can even say a word, utter a complete sentence, learn about more institutionalized versions of grace. Before the child has a full idea she can grasp and articulate — an I want thought — she has already apprehended the gospel of Amsterdam’s intricate dance. Before the child can reason, she is already Amsterdam; that is, before she can lay claim to her beautiful blue eyes, control the contour of her curls, she is Amsterdam first. She has become before she becomes; she is both who she imagines she is and who she’s been imagined to be. The history of Amsterdam is in this handing over of its elegance and nature, quietly but resolutely, parent to child on bicycles. Eventually the child straddles a smaller bicycle, head proud, back straight, the handle bars arched like a curvaceous”U”, the edges that loop towards her held in her hands. She has learned to solo. She is safe in the stream, a songline unifying all in Amsterdam — rich, poor, foreign, and different working in unison so as to not compromise the flow, the energy. If you’ve allowed Amsterdam’s vibe into your sense of being, then you know that from this point, on this bicycle, the child has learned grace, pride and manners; she’s learned to be honest and direct; she’s learned to speak with confidence. It’s then that the child can say, with conviction and without reservations, I am Amsterdam. I am Amsterdam, the perfect logo seen all over the city is simple, clean and direct. And it’s no wonder since this logo has come to life in the culture that practically invented advertising and design in the mid 1600s. I am Amsterdam points in two directions: back to its history, the Golden Age that created wealth, stability, art and culture by devastating the weaker countries and colonizing the spaces on the map still uninhabited by men with gunpowder, building a world order through violence and oppression — the methods to come that would likewise build other great powers; and it points forward to the tolerance and affability that, out of necessity, has grown out of the bleakness of the Golden Age as a way to embrace others with humility, the different others that want to come to its northern port and see for themselves, experience possibilities, experience being left to one’s devices to survive without judgment. Experience the patience and tolerance that is a natural outcome of having to compensate for creating a magnificent culture from conquest and colonialization, slavery and oppression, great violence and violations of human rights. The Dutch feel the weight of the anvil on their backs; they are responsible for their history and their destiny. 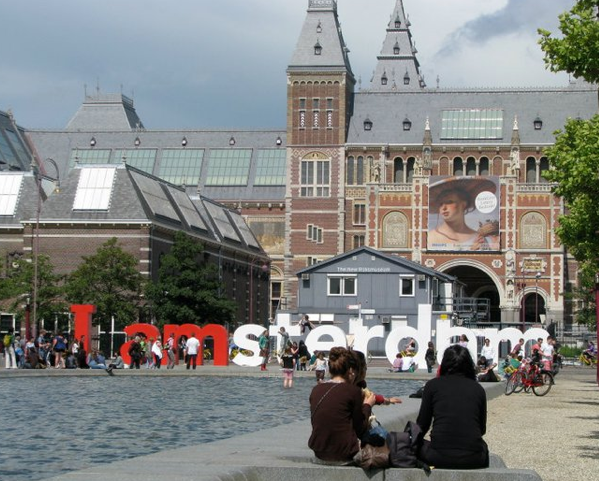 This entry was posted in Amsterdam, cultural studies, travel and tagged philosophy, travel writing by hector. Bookmark the permalink.